Brewed to embody the swaggeringly rebellious spirit of Jean Lafitte, the early-19th century French pirate, smuggler and unofficial patron saint of New Orleans, Bayou Bootlegger breaks all the established rules. Lafitte’s illicit adventures and love of revelry frustrated the authorities and captivated the public’s imagination as he blazed a dashing path of ne’er-do-well exploits along the Gulf Coast. The lawless privateer morphed into a hero when he and his crew took up arms in defense of New Orleans during the War of 1812. Lafitte’s colorful tradition lives on in the unabashedly bold flavor of Bayou Bootlegger. 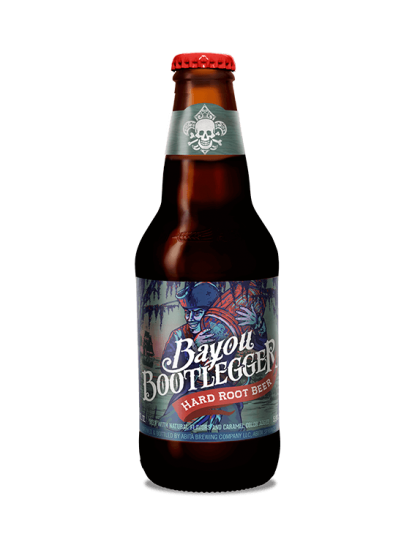 Who's Drinking Bayou Bootlegger Hard Root Beer?